Sole proprietor businesses help drive our economy, and make up an incredibly diverse pool of talents across all industries. From personal trainers to writers, housekeepers to consultants, independent entrepreneurs bring a wealth of talent and skill to our lives. If you are a sole proprietor, you understand the difficulties you face while being the driving force behind your business. You are the sales, service, marketing, and accounting department wrapped up in one very busy package. At Advanced Payment Solutions, we understand, which is why we can set you up with a retail merchant account and the ability to accept credit cards. Our merchant account solutions help businesses of any size craft the most safe, secure payment processes, while also providing the support they need for success. 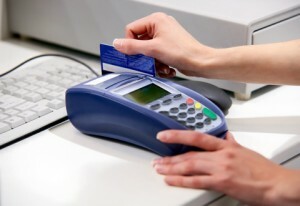 We provide card processing solutions that make sense for their business models. Whether they want a dedicated terminal onsite, or they prefer the on-the-go convenience of mobile processing, we have the set-up that will best serve their operations. We help our clients set up payment solutions for their e-commerce businesses, including the ability to accept both credit cards and checks. We have experience with unique business models, like seasonal businesses whose needs constantly change throughout the year. With our competitive rates and built-in fraud protection, we give all our clients our best service, regardless of business size or scope. If you’re developing a business as a sole proprietor, we encourage you to contact us to learn more about how AVPS can help integrate your merchant account and payment processing seamlessly into your operations. Let us show you how, with the right support, you can grow your business and achieve your financial goals.